Welcome to the very first episode of the Mother’s Quest podcast! I am so honored to bring you this conversation with Navjit Kandola. Navjit is a spiritual adviser, educator, speaker, filmmaker, full-time mom, and the director of the Nizhoni School for Global Consciousness. Navjit works with clients to heal subconscious wounds, release anxiety and strain, identify habits that spiral into negative behaviors, and unblock stagnant energy in relationships and projects. 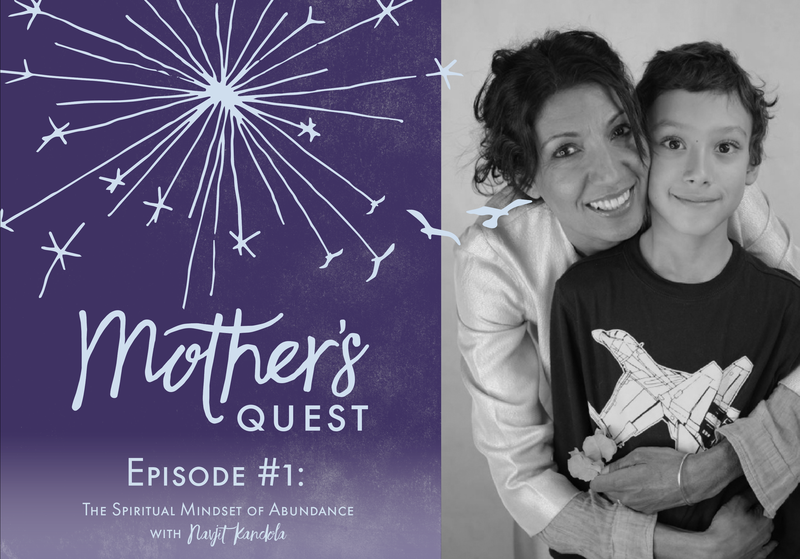 It felt right to have my first conversation on the podcast with Navjit because she was one of the first people I reached out to after I decided to launch Mother’s Quest. 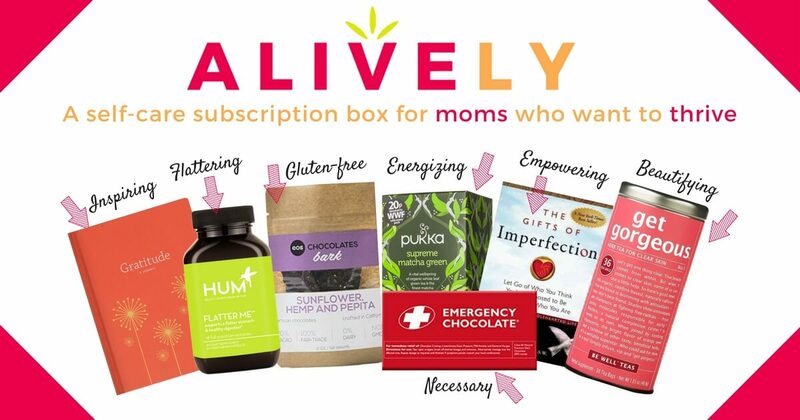 I found her through Danielle LaPorte’s website. Danielle, another profoundly spiritual mother, who is also an entrepreneur, author and poet, is a long-time friend of Navjit’s and refers to Navjit as a masterful soul sister who is lucid as a diamond. I determined I needed some of that guidance and reached out to Navjit for a phone session. I proceeded to tell her about my desire to embark on my own hero’s journey and all my hopes and dreams for Mother’s Quest. She helped me think about the metaphor I was choosing and encouraged me to make it my own…to hold a vision for a journey that could include more connection and ease than the typical one found in epic stories. 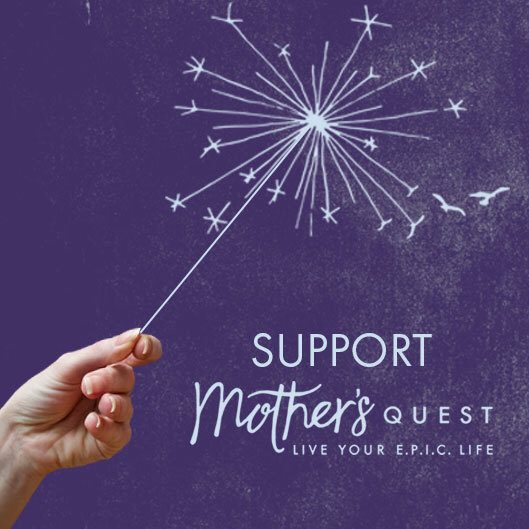 Those words stayed with me and have been a guide as I have gone through the ups and downs of birthing my new venture and laying a foundation for the Mother’s Quest community. More recently, I reached out to Navjit again, distraught with fear and sadness in the wake of the election and consumed by self-doubt in the days leading up to this podcast launch. I got to experience firsthand how Navjit’s healing presence could help me tap into the wisdom of my inner child, a term she refers to in this interview. It was a powerful and transformative experience and one that I wrote about the next day on a blog post that I will include in the show notes. I share all this because this first conversation has a different tone than many of the episodes that follow. It is a deep dive into spirituality and consciousness. And, if these are topics you don’t typically gravitate to, I encourage you to stay with it. Navjit talks about being grateful for those magical moments when we’re present and connected with ourselves, our children, and with nature. She shares how she lives her E.P.I.C. life when she can shift her mindset from a place of scarcity and stress to a place of openness and abundance. It feels like the world is a very different place than the one it was when Navjit and I first recorded this episode. But, the concepts she talks about feel more needed and relevant than ever. Amplifying the moments that take your breath away. 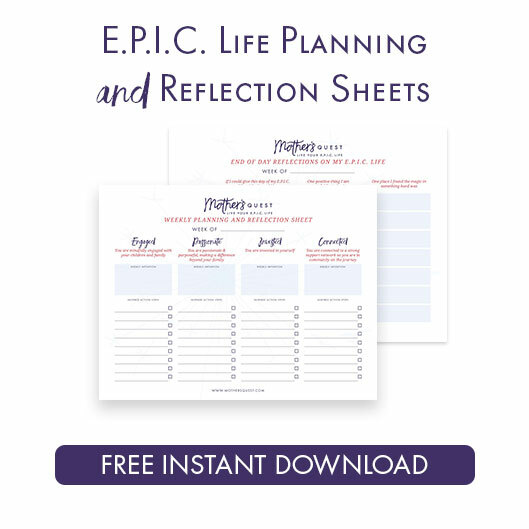 Navjit breaks down how to notice and bring more of those moments into your life. Mindset matters more than anything else in transforming your life.